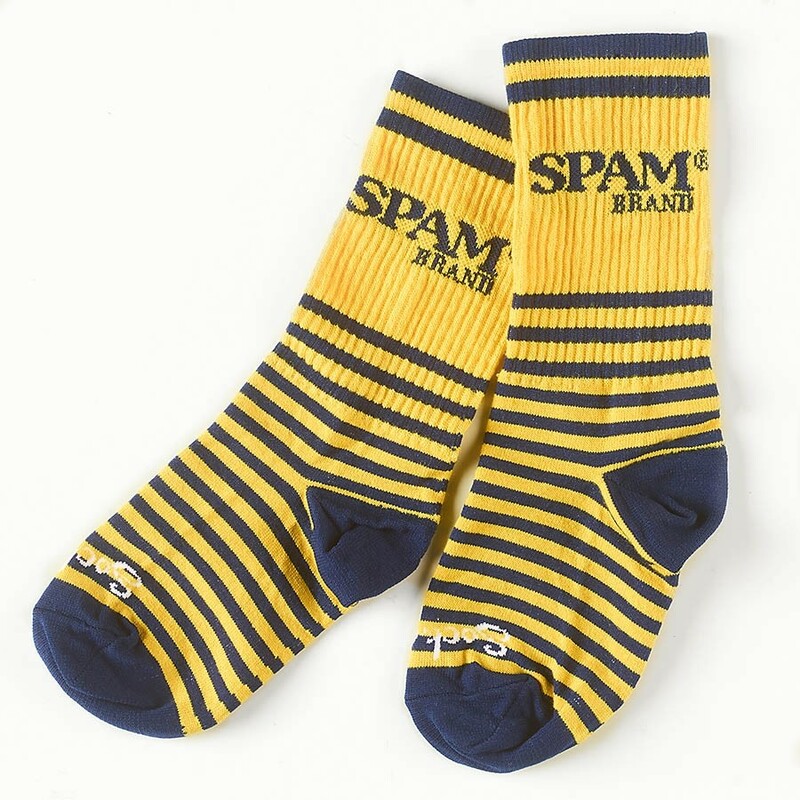 Navy and yellow socks with SPAM® Brand on cuff . Currently available in one size L/XL with soft stretchable comfort fits most adults. 75% Micro Denier Acrylic/15% Nylon/10% Spandex. Made in the USA. Currently available in one size L/XL with soft stretchable comfort fits most adults.